This was my second grinder - bought it early in 2012 to keep at work. 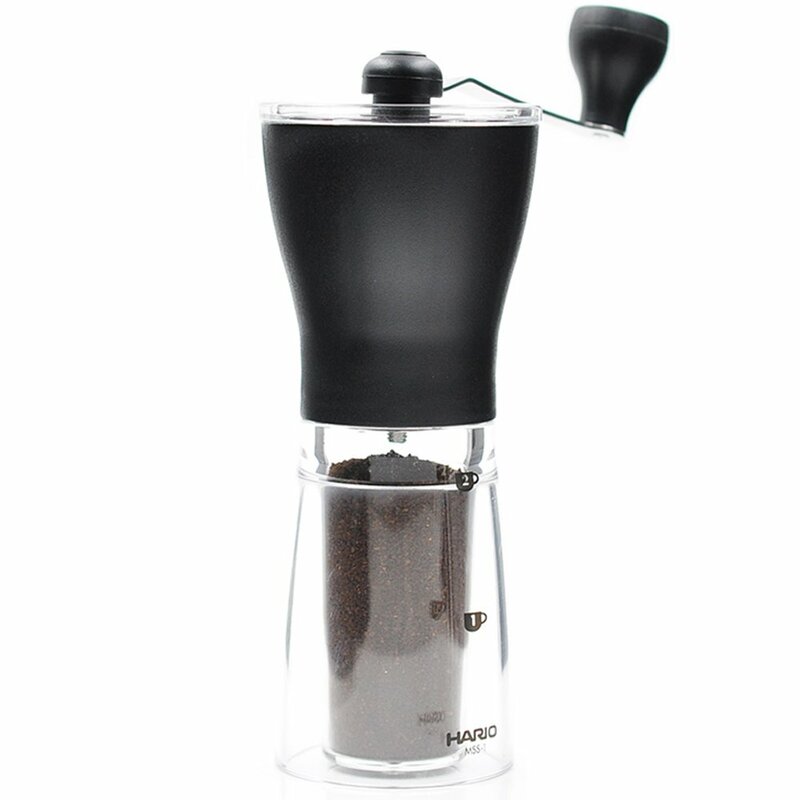 Hopper is small enough that you can grind directly into an Aeropress. Small size - If you're grinding for multiple cups, you might have to refill the hopper and empty the reservoir. Too small to grip between thighs very well, and ergonomics when just holding it in your hand are a little awkward (but better than bulkier ones). Handle flies off while grinding for some folks, but I never found it to be a problem. All in all, a fine, inexpensive little grinder that produces the typical grind consistency of inexpensive grinders. A fine choice for someone just getting started with grinding their own beans.